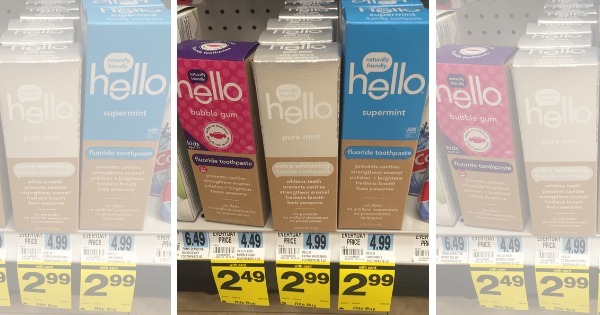 Now through 10/22 Rite Aid has Hello Kids Toothpaste on sale for $2.49. We have this $2/1 Hello Natural Toothpaste, exp. Varies available to print making this just $0.49! If you would prefer Hello Adult toothpaste, they are on sale for $2.99, using the coupon we can score these for $0.99! Be sure to check out the rest of the Rite Aid Preview Deals for next week! Still Available! Spirit Halloween Store Coupons – Save $10 on Your Purchase & More!